March 19, 2011 Dan O. It doesn’t matter what drug you deal, it all depends on how cool you look when your dealing it. Armed with ruthless, streetwise tactics and a strict sense of honor, crime boss Frank Lucas (Denzel Washington) rules Harlem’s chaotic drug underworld. When outcast cop Richie Roberts (Russell Crowe) sets out to bring down Lucas’s multimillion-dollar empire, it plunges both men into a legendary confrontation. Looking at this all on paper, you have Oscar winners Russell Crowe, Denzel Washington, and Ridley Scott all working together on one film, you should be expecting something perfect, right? Well, not quite. Ridley Scott does a great job here of directing this thing to the core. Scott keeps the camera on both of these character’s and their own stories, and not once do we lose a sense of what’s happening. He also gets the look for this film, including a very gritty atmosphere behind all the glam and beauty of the drug world, and perfectly captures how the late 60’s early 70’s felt and looked. He also tells the story, not through explosions, and random gun-fights, but through more story and development as time goes on, but he doesn’t lose his pace and keeps this entertaining. The only problem here is that although Scott is doing a good job of keeping this film entertaining, he’s not necessarily doing much different that what has been done before. I think the main problem with this film is that it’s not to different from any other crime thriller we’ve seen before. Now, there were moments of originality with Washington out-smarting all the cops, but the drug deals, the lines these characters use, hell even the characters themselves all seem like something we have seen before. It’s not to say that this film doesn’t do those things right, because they do, it’s just that it’s nothing different. Also, with these crime films the tension is always somewhat lacking. We all know how this is going to end, since it is a true story, so your just waiting for the big climax of these two to finally meet, and eventually have the main bad guy get his time in jail. The problem with this film is that we are waiting for almost two-and-a-half hours for that to happen, and although it keeps your interest for the time being, you still can’t help but wonder why the hell it had to be so long to get where it got. However, this ensemble cast just kept me watching the whole time. 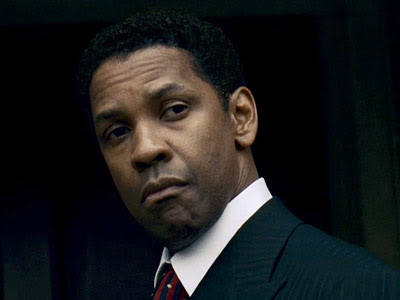 Denzel Washington is perfect as mob-boss Frank Lucas. He’s got that swagger that makes him so cool, that brain and wit that has you believe he can outsmart any cop, and just so cool that he’s the most likable gangster ever. I think Denzel should have gotten nominated for an Oscar here, but hey the man is always great no matter what you put in front of him, just ask Ridley’s brother, Tony. Russell Crowe doesn’t get much praise here but he’s also very good as Richie Roberts who is so attached to finding this guy, that he stops at nothing to do it. He also very likable enough to have you root behind as well. 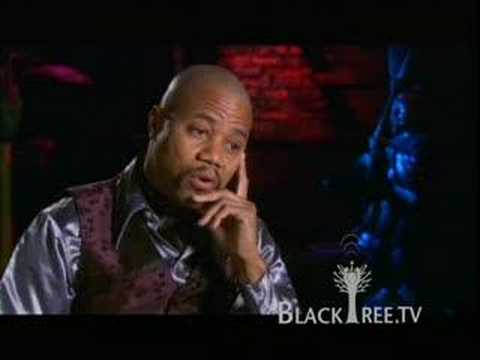 The rest of the cast is also very good and just has a bunch of random faces that pop up out of nowhere such as T.I., Chiwetel Ejiofor, Common, RZA, John Hawkes, Idris Elba, Ruby Dee, Josh Brolin, Carla Gugino, and the return to Hollywood acting of Cuba Gooding Jr. God it has been so long since I have seen him in a film that hasn’t been released straight-to-dvd, but he has only a couple of minutes in this film, but he still makes it worth awhile. Consensus: The performances are great from all over the spectrum, and the direction from Ridley Scott makes this film a gritty but entertaining crime thriller, but never goes anywhere we haven’t seen before, and almost seems like a drag to get to the last scene that we all see coming. 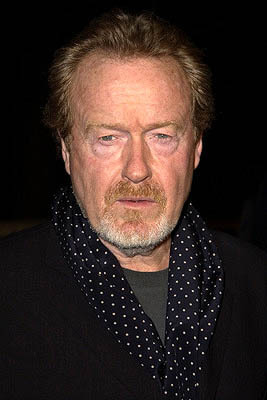 I liked this movie as well, great acting, a good story that wasn’t too cliché, and definitely gotta love Ridley Scott. Great review! It’s a good story, and everybody involved does a good job, it just could have been better. Thanks! The best Vietnam War movie not made in the 70s or 80s.